Al Adil Trading - Best Weekend Sale. Get up to 50% Off. 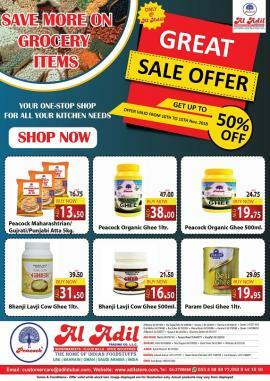 Offer Valid from 11th April to till Stock Last. 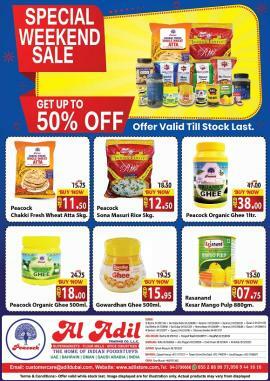 Al Adil Trading - Biggest Sale Up to 50% Off. 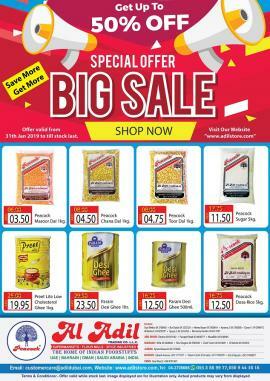 Offer Valid from 28th March 2019 to till stock last. 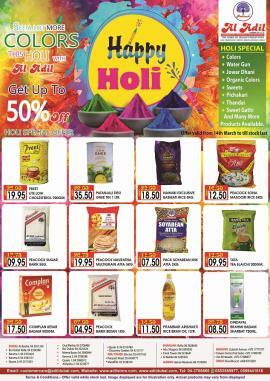 Al Adil Trading - Holi Special Offer. Get Up to 50% Off. Offer valid from 14th March to till stock last. 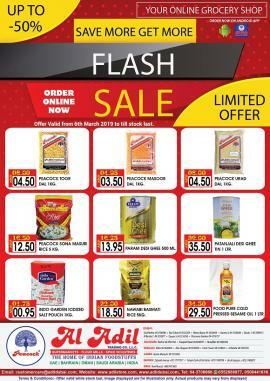 Al Adil Trading - FLASH SALE. Get up to 50% off. 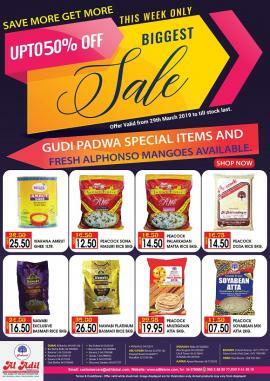 Offer valid from 7th March 2019 to till stock last. 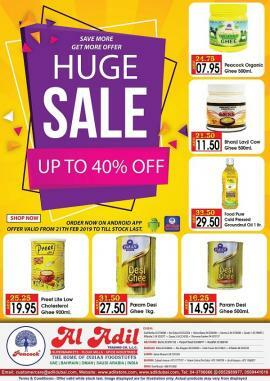 Al Adil Trading - Huge Sale Get Up to 40% Off. 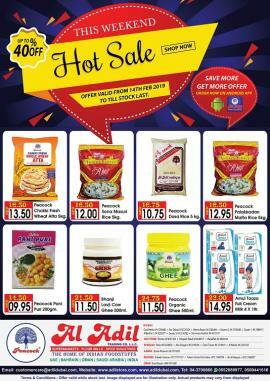 Offer valid from 21st Feb 2019 to till stock last. 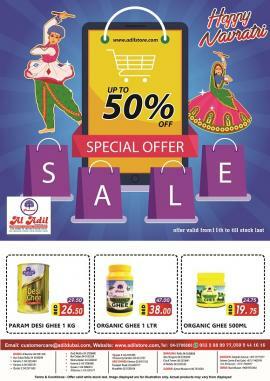 Al Adil Trading - Weekend Hot Sale. Get up to 40% Off. Offer valid from 14th Feb. 2019 to till stock last. 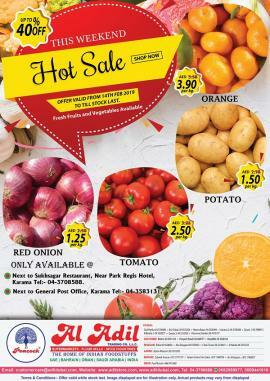 Al Adil Trading - Weekend Fruits and Vegetables Hot Sale. Offer valid till stock last. Offer available at Next to Sukhsagar Restaurant and Next to General Post Office Karama. 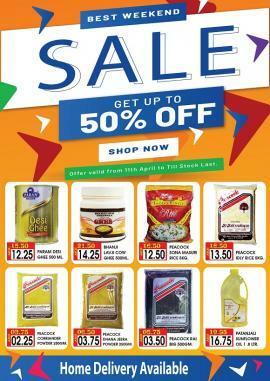 Al Adil Trading - Big Sale. Get Up to 50% Off. Offer valid from 7th to 14th Feb 2019. Offer available at Al Nahda, Abu Shagara, Ajman Branch Only. 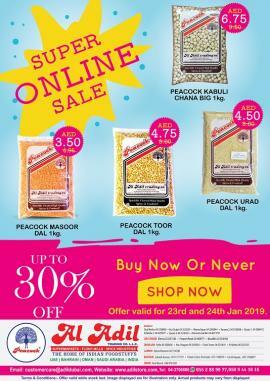 Al Adil Trading Super Online Sale. Up to 30% off. Offer valid for 23rd and 24th January 2019. Al Adil Trading Weekly Online Dhamaka. One Day One Item Sale. Get Up TO 50% Off. 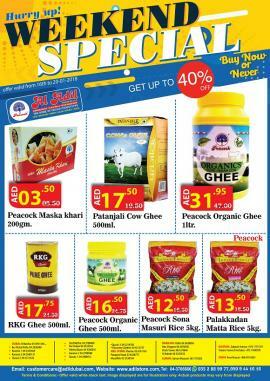 Al Adil Trading - Weekend Special Offer. Get up to 40% Off. Offer valid from 16th to 20th January 2019. 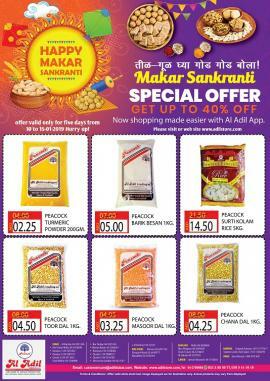 Al Adil Trading - Makar Sankranti Special Offer. Offer only for 5 days. Offer valid from 10th to 15th January 2019. 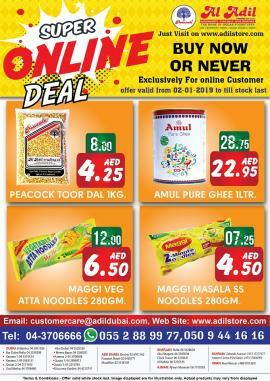 Al Adil Trading - Super Online Deal. Buy Now Or Never. Exclusively for online customer. Offer valid from 2nd January 2019 to till stock last. 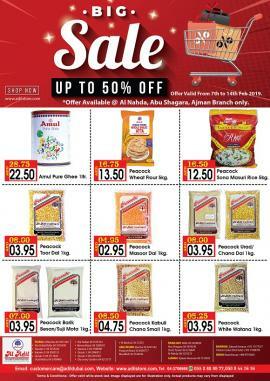 Al Adil Trading - Special Weekend Sale. Offer valid till stock last. 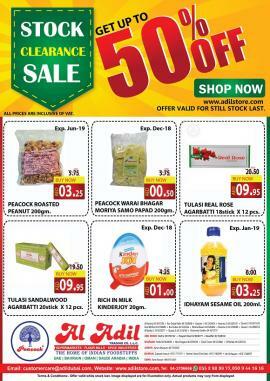 Al Adil Trading - Stock Clearance Sale. Get Up To 50% Off. Offer valid for till stock last. 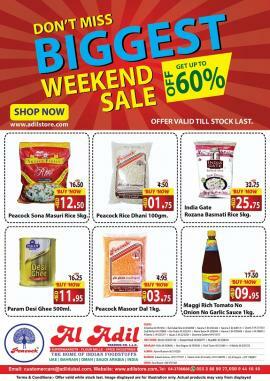 Al Adil Trading - Biggest Weekend Sale. Get up to 60% OFF. Offer valid still stock last. 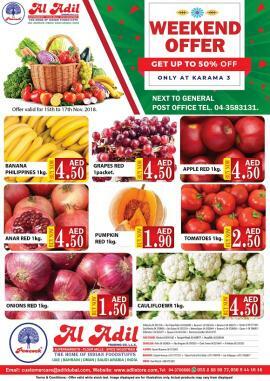 Al Adil Trading - Special Weekend Vegetable Offer (only at Karama 3 store). Get Up To 50% Off. Offer valid for 15th to 17th November 2018. 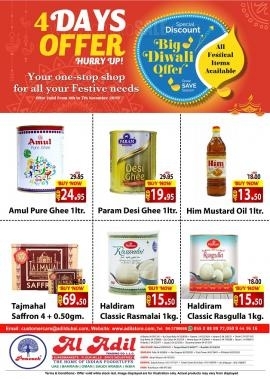 Al Adil Trading - Great Sale Offer. Get Up To 50% off. Offer valid from 10th to 15th November 2018. 4 Days Offer (Big Discount). Hurry Up! Offer Valid From 4th to 7th November 2018. 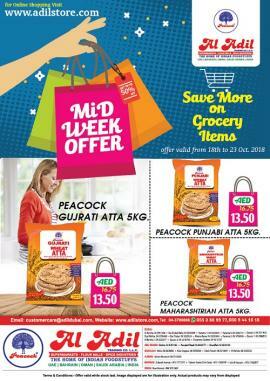 Al Adil Trading - Mid Week Offer. Offer valid from 18th to 23rd October 2018. 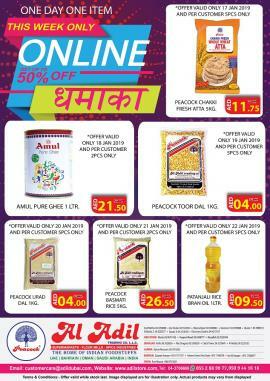 Al Adil Trading - Navratri Special up to 50% off. Offer valid from 11-10-2018 till stock last. 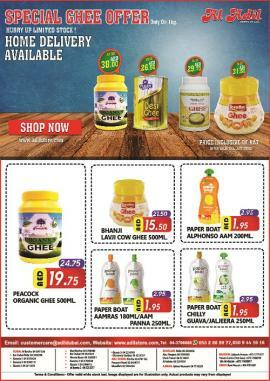 Al Adil Trading - Special Ghee Offer. Offer valid while stock last. 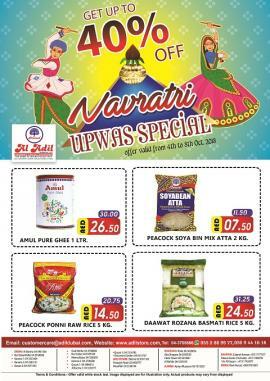 Al Adil Trading - Navratri Special Offer. Offer Valid from 4th to 8th October 2018. 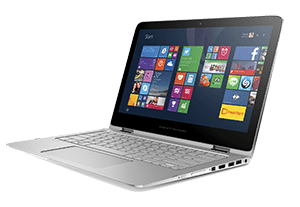 Get all information about Al Adil Trading offers in Dubai, Al Adil online offers, Al Adil Trading Sharjah offers, Al Adil Supermarket offers, Al Adil Trading latest offers in UAE, Al Adil Trading sale in Abu Dhabi, Al Adil Trading catalogue, Al Adil Trading Ajman offers and Al Adil Trading promotions by browsing through TomatoSALE.